The configuration of emerged land masses as well as the distribution of suitable habitats are two important constraints for migration of land mammals. The evolution of late Miocene European land mammal faunas seems to be related to climatic change, which consisted in a general cooling and an increase in seasonality starting by the late Miocene. The pre-existing subtropical evergreen forests were replaced by mixed mesophytic ones at higher latitudes, while in the peri-Mediterranean regions the forest cover was fragmented. The Vallesian Crisis, which implied the disappearance of forest-adapted taxa and a general diversity decay in Western Europe by the beginning of the late Miocene, has been related to main climatic changes. This crisis is a well-established event in the Iberian Peninsula, however the response of mammal communities in other areas is still debated. The goals of present work are to refine chronologic and geographic limits of the Vallesian Crisis. Data input consists in a series of fossil mammal sites covering most of the middle and all the late Miocene (13.8 – 4.9 Ma). Provinciality has been studied using cluster analysis, and results indicate the maintenance of three main bioprovinces (Greek-Iranian, Iberian and Central European) during most of the time span. Diversity and origination and extinction rates have been calculated for all Europe and for each main bioprovince whenever possible. The results show that diversity increased during the late Vallesian and the Turolian in the Greek-Iranian bioprovince because of the development of open-country herbivore faunas while diversity remained stable in Central Europe. A decay in diversity started in the Iberian Peninsula by the early Vallesian and genera richness kept descending during the Turolian. Although the environment was rather similar in East and West, Turolian mammal faunas from the Iberian Peninsula are very poor and show few eastern immigrants. 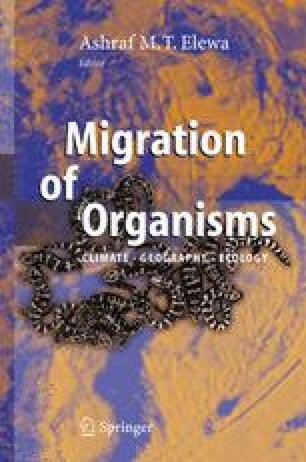 We suggest that mixed mesophytic forests covering most of Central Europe acted as an ecological filter, preventing the migration of open-country adapted taxa from Anatolia.